i have bought a megjolt/e with tps. now decided to go for map. if i get it correct i only need to solder the censor in and nothing else since its a black circuit board. can i get that censor separate? cant get pick now. photobucket site is down. There's a MAP sensor upgrade kit available in our store if you need that. Hope it helps. And yes, please post picture when you can. This is the board. As far as i can see i don't need any soldering appart from that sencor? Or is there anything that needs to be soldering out of it? Ill have a look on the site for that kit once im sure what to look fo. You are correct. you only need the sensor. 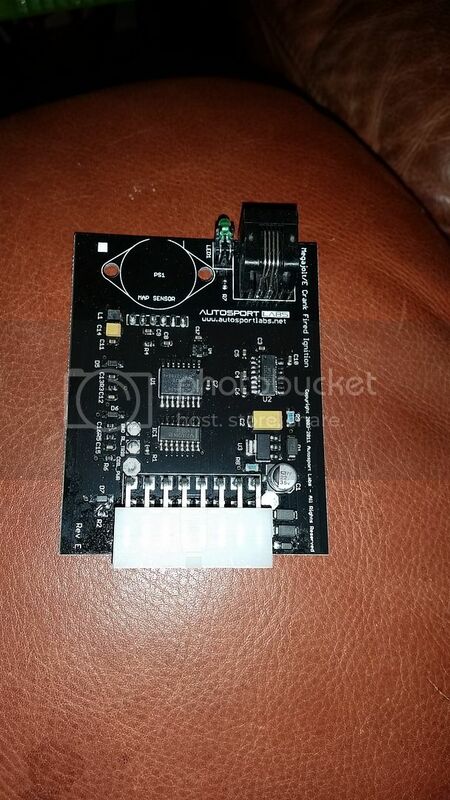 It's a freescale MPX4250AP - you can order it from us, or from any online supplier. Nice. Seen that one on there. Correct, You would set the software to be MAP mode and go from there. hy. so finally got my parts together. and found someone who wants to solder it. now. to be sure. the map sensor in with the writings up and then i need nothing to be taken out? seen on the green plate that the r3 needs to be taken out but that this is not needed on the black board? is that correct?